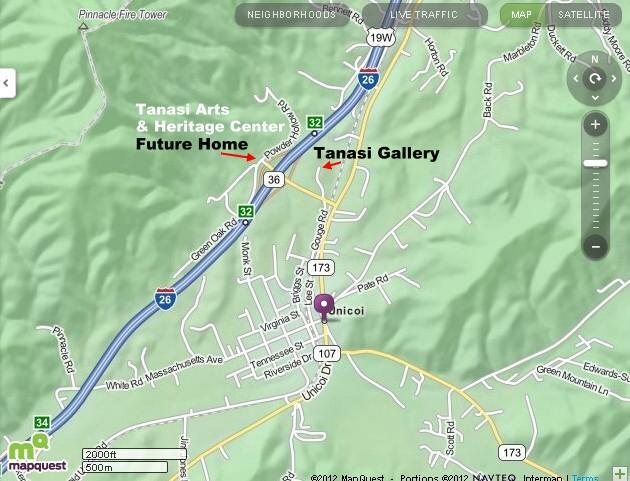 The Tanasi Gallery is located in Unicoi, Tennessee, on the east side of Interstate 26 at Unicoi Road, Exit 32. 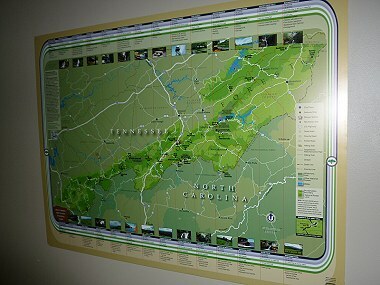 Unicoi is 10 minutes south of Johnson City, Tennessee, and 55 minutes north of Asheville, North Carolina, both on I-26. 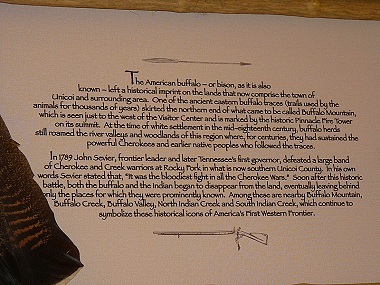 The town and the Gallery are located in the Cherokee National Forest at the foot of 3500-ft Pinnacle Mountain and the adjacent Buffalo Mountain. 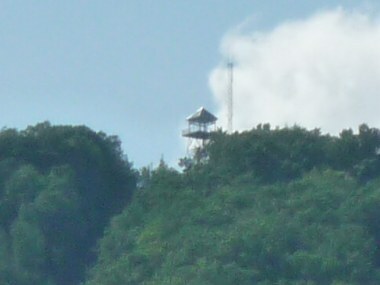 The future home of the Tanasi Arts and Heritage Center is the trail head for the popular Pinnacle Tower Trail, a 5 mile hiking and biking trail going up to the newly restored Pinnacle Fire Tower. 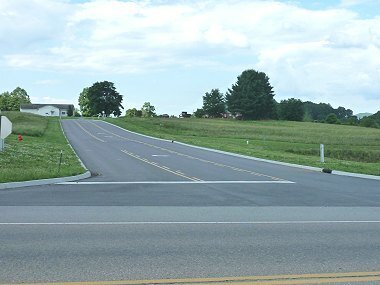 Johnson City is home to East Tennessee State University, and Tri-Cities Regional Airport is 25 minutes away.